Subwoofers are meant to be heard, but not seen. In fact, even their sonic contribution should be as seamless and as unobtrusive as possible, while adding just the right amount of bottom-end kick to the overall system sound. Can the Martin Logan Dynamo 1600X deliver on those requirements? Mention the word subwoofer, and many of us think of big boxes, barely containing even bigger drivers, punching out the kind of bass that can shake walls, rattle windows and threaten to rearrange your skeleton. 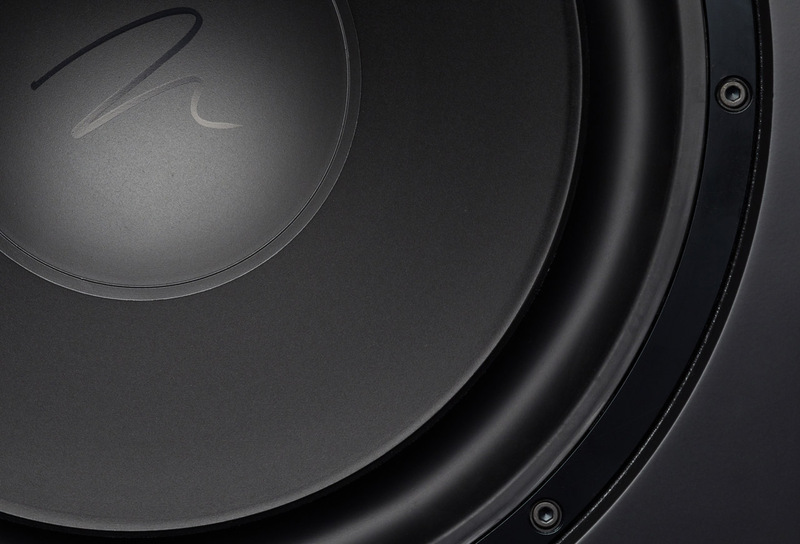 Yes, you want to hear and even feel that sub-bass, but it shouldn’t be an invasive or intimidating experience – and if it is, there’s something inherently wrong with the set-up. 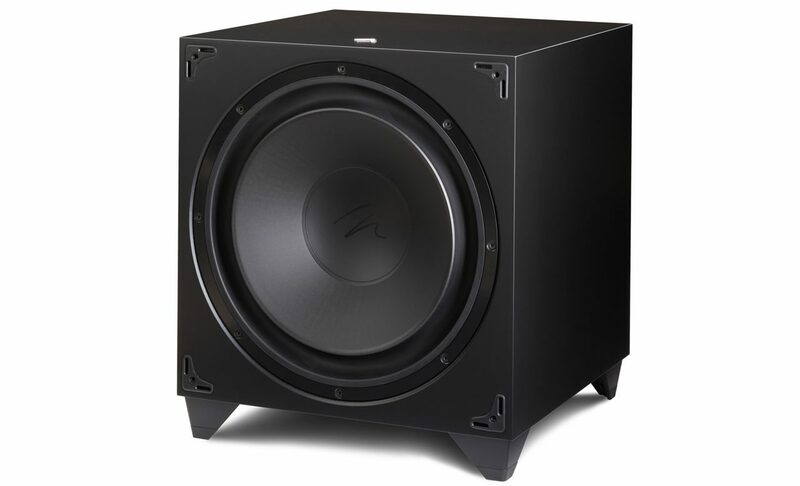 Subwoofers are more usually associated with home theatre systems, where their low-frequency extension is considered essential to make movie effects such as explosions, gunfire, thunder, low-flying aircraft and fast-passing cars sound more realistic. But they can also play a valuable role in stereo system, especially when the primary loudspeakers are unable to deliver full-range sound. That said, integrating a subwoofer into a stereo set-up is a lot trickier. Why? 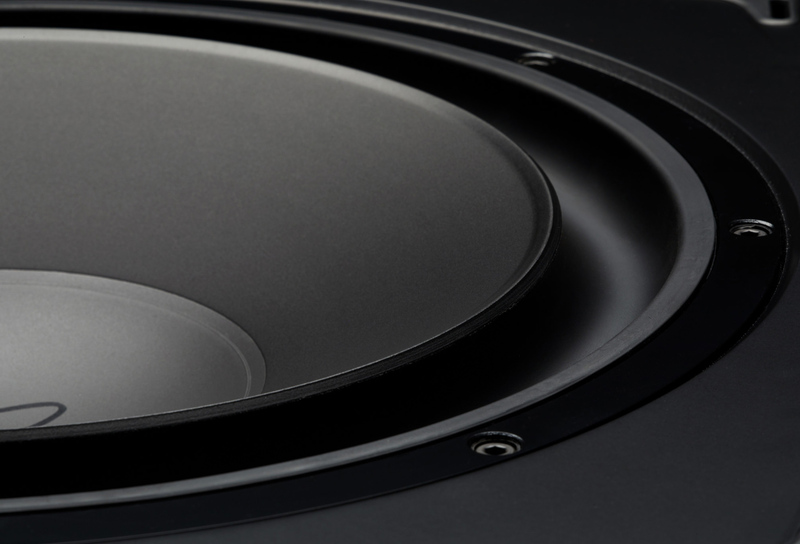 Surround sound formats make specific provision for the low-frequency effects channel that a subwoofer is tasked with. But in stereo set-ups, the end user has to manually tailor the output and frequency crossover point to ensure the sub’s seamless integration with the main speakers. 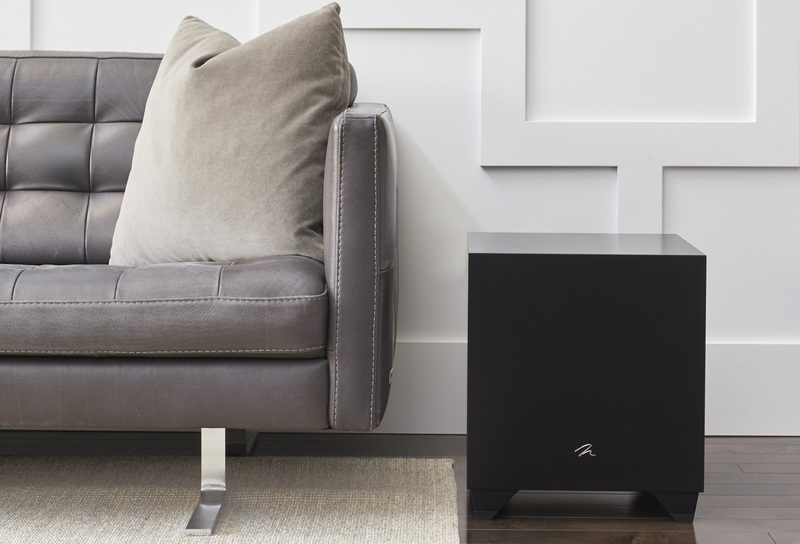 Martin Logan is best known for its high-end electrostatic loudspeakers – but ironically, that very fact has also turned the Canadian firm into a subwoofer specialist. Electrostatics aren’t known for their low-bass capability, so many of the marque’s electrostatics come equipped with a dedicated bass unit, carefully engineered to sonically dovetail with the panels. Add to that the fact that Martin Logan is also active in the multichannel home theatre space, and producing a line-up of active subwoofers makes a lot of sense. The new Dynamo range is the brand’s latest foray into the subwoofer arena, and at face value at least, the folks at Martin Logan have done their homework. The five-strong line-up bristles with clever features, all designed to optimise performance across both stereo and multichannel roles. The 1600X is the flagship of the family, and thus offers the full suite of features in a package also aimed at delivering no-compromise performance. Given that intention, it’s a surprisingly compact and even inconspicuous sub. 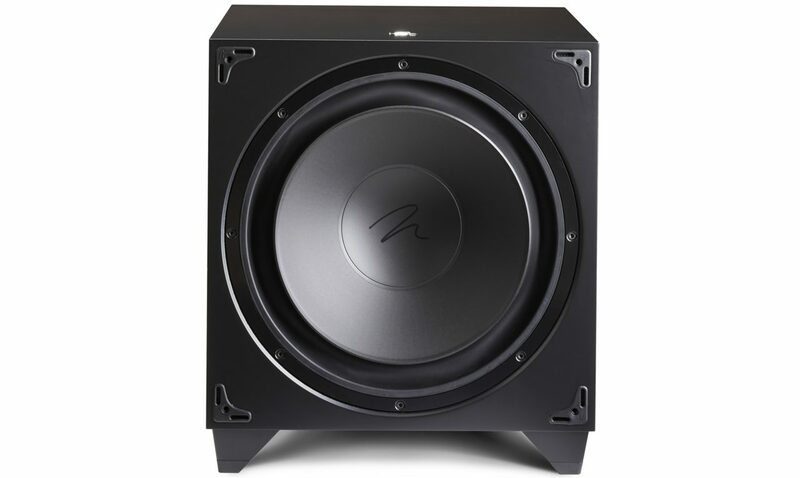 While not exactly small, the 1600X combines a 15-inch driver with 900 watts of amplifier muscle in an enclosure that stands no higher than 510mm, depending on how it’s configured. And while it looks pretty conventional, the 1600X has some clever tricks up its sleeve. Let’s start off with the configuration options: the 1600X can be set up as either a front-firing or a down-firing subwoofer. All it takes is repositioning the locating feet. 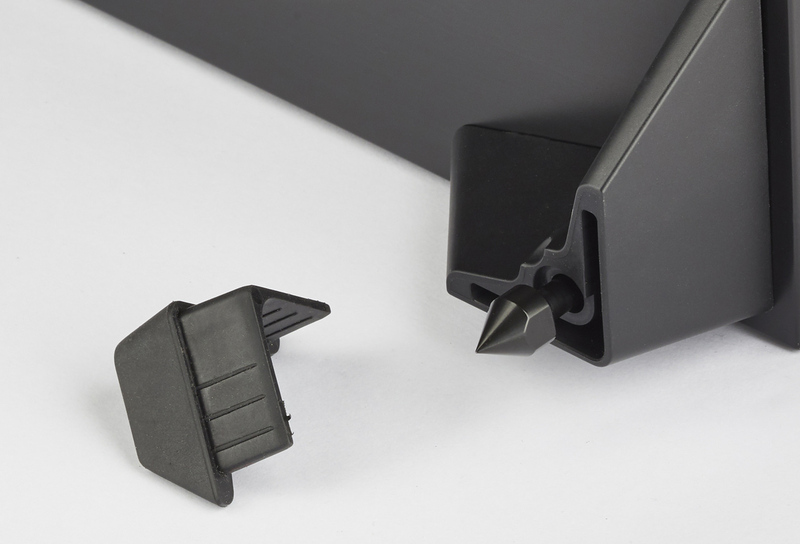 Those feet, by the way, host encased decoupling spikes, which can be used instead of the standard rubber caps. And there’s a sleek, curved grille to protect the drive unit when the 1600X is used in front-firing mode. The default configuration is down-firing, which is visually less obtrusive, and means the enclosure looks like a nicely finished, satin-black cube with a subtle Martin Logan logo on the front. If you run the 1600X in front-firing mode, the one aspect to remember is that the rear control panel now becomes inaccessible, as it ends up facing the floor. That’s less of a problem than you might imagine, though: once the salient connections have been made, access to the panel becomes effectively irrelevant, as control of the subwoofer either vests with the AV receiver or processor, or with the dedicated Martin Logan app. More about this aspect later. Talking of connections, the 1600X caters for most scenarios. 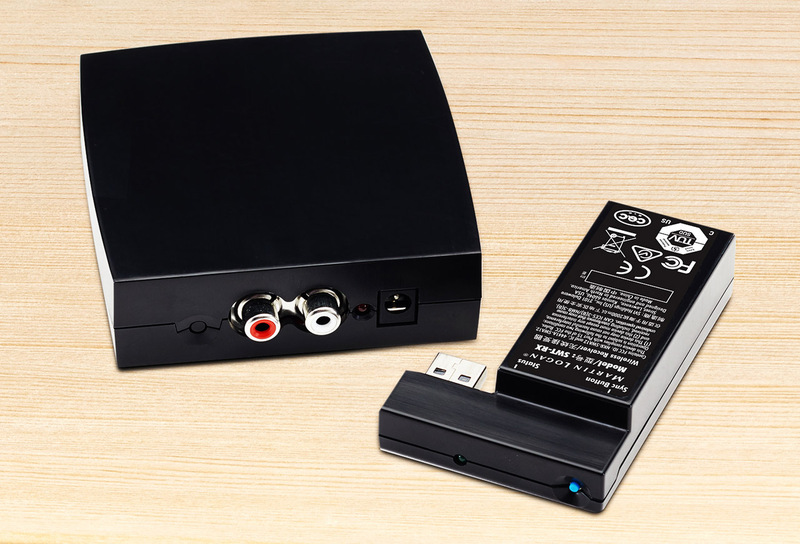 It offers a choice of RCA or XLR inputs for an LFE signal feed from an AV receiver or processor, and a stereo line-level RCA input set for linking the sub to a stereo system. 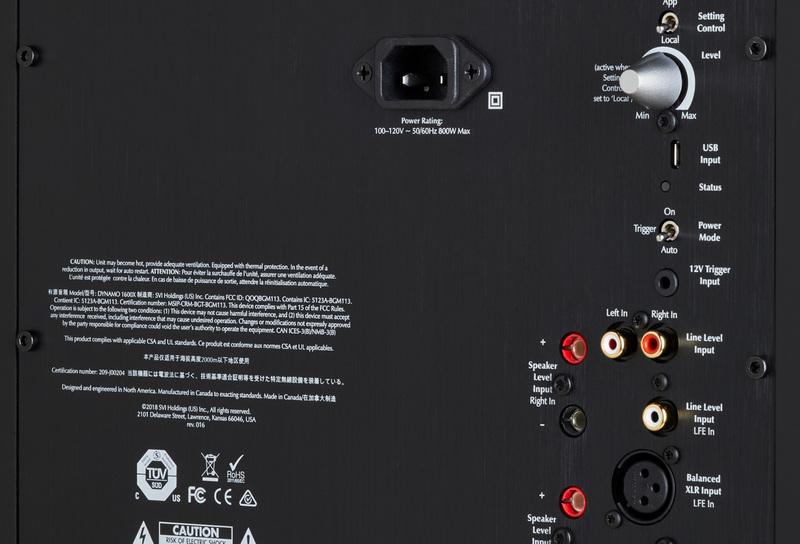 The 1600X also provides a set of high-level speaker inputs, which can be coupled to a stereo amplifier’s speaker binding posts – useful if the amplifier doesn’t have a subwoofer output, or pre-amp outputs (or if the latter are already in use). The fact that the 1600X caters for both LFE and stereo applications means that it can be connected to both a stereo and a multichannel/AV system simultaneously. When used in conjunction with the stereo system, it operates using the left/right input settings, and reverts to the LFE-related settings when the multichannel system is in use. The key difference here is that, in LFE mode, the low-pass settings that can be dialled in for stereo applications are bypassed, leaving the receiver/processor’s own LFE management protocols in control. The 1600X even offers the option of a wireless connection via the optional SWT-X wireless system. It consists of a receiver module that’s plugged into the 1600X, and a transmitter that’s connected to the pre-amp or receiver/processor outputs. This allows more flexibility and convenience as far as the placement of the 1600X is concerned. With SWT-X deployed, you can run the 1600X in either LFE or stereo mode, but not simultaneously. During the course of this extended review, I used the Dynamo 1600X in all its various configuration options. For 2.1 applications, I ran it in conjunction with our trusty KEF LS50 standmounts. The multichannel evaluation was conducted in partnership with a Marantz SR6011 AV receiver, as well as a Yamaha RX-A3080 AV receiver (review pending), with our Atlantic Technology surround system on speaker duty. I also tried the SWT-X wireless kit as an alternative to the wired connections in each instance. Subwoofers are notoriously tricky to set up properly, unless you have the services of an experienced installer with the necessary measuring equipment (and experience!) to assist you. Martin Logan’s answer to that conundrum is incorporating sister company Anthem’s highly regarded ARC room correction system, and making it both user-friendly and accessible in the form of smartphone app, available for both Android and iOS devices. There’s also a second Martin Logan-specific subwoofer control app, which allows convenient adjustment of key parameters, including level, low-pass filtering, phase and polarity, as well as a 20 -120 Hz tone sweep to help with identifying pesky room resonances. Setting up the 1600X involved installing the subwoofer (configured in down-firing role) in the left front of the listening room, powering it up, and then running ARC to determine an optimised set of room-specific operation parameters. Next, I connected the sub to our AV system using the 1600X’s LFE input, and then using the receiver’s set-up and calibration programme to determine system-specific settings. Next, I connected our Primare PRE32 stereo pre-amp to the left/right inputs of the 1600X. I then used the Martin Logan sub control app to set up the performance parameters for stereo listening, including the level, low-pass filter, polarity and phase. The app also offers a choice of three listening modes (movie, music and night). The entire process was intuitive and sonically meaningful, contributing significantly to matching the 1600X’s capabilities to the system and room requirements, as well as my personal preferences. A quick note on front-firing versus down-firing: to my ears, the latter option always sounded smoother and better integrated, albeit at the cost of some outright bass wallop and aggression: some users, especially movie buffs, might prefer a front-firing set-up purely for the slightly more overt nature of the delivery. 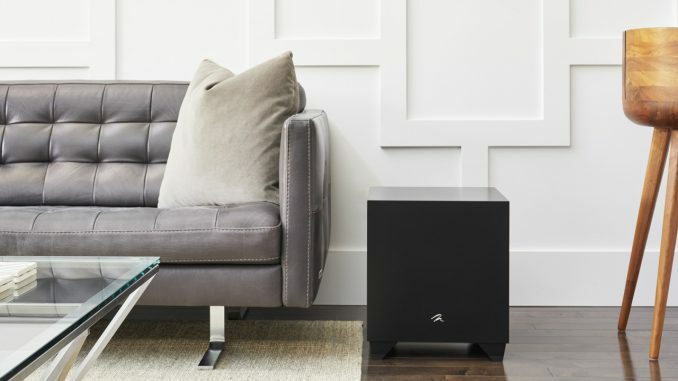 As I mentioned earlier, the successful contribution of a subwoofer to system sound, be it stereo or multichannel, depends heavily on how seamlessly it can be incorporated into the system’s overall sound. It can reach as low as it likes, and play as loudly too, but poor set-up can lead to some frequencies being over-emphasised and others left wanting, while room interaction can add resonances and vibrations to the mix. Thanks to the thoughtful and accurate installation and calibration procedures, the 1600X avoided all those traps, and instead emerged as a measured, well-mannered and above all effective contributor to overall system performance. The bass delivery was taut, fast and impactful, with plenty of punch and attack, but without having to resort to overkill. Tonal seamlessness was a particular highlight, with no discernible transition between the main speakers’ output and the sub’s delivery. At the same time, the sound increased in stature and presence, benefiting from the solid low-frequency foundation. The delivery was more muscular and more authoritative, but there was also a new-found clarity and definition, thanks to the enhanced slam and precision of the low notes. Used as part of the multichannel system, effects took on an almost visceral quality that made the explosions and gun shots featured in Dunkirk seem almost unsettlingly realistic. The underlying menace that permeates Christopher Nolan’s dialogue-sparse masterpiece felt almost tactile in its intensity, while the air sequences gained further impact. The same could be said of the brooding Blade Runner 2049, with its washed out landscapes, desperate characters and commercial-saturated cityscapes. It’s a gritty, confrontational world with soundtrack to match, and with the help of the 1600X, that sound really gets under your skin. It’s a case where sight, sound and sentiment merge to create a cinematic experience that is all-engaging, and where the surround sound seems to penetrate every corner of the room – and the mind. For me, however, the way the Dynamo 1600X interfaced with the stereo system in the AVSA listening room was even more revelatory. To be fair, subwoofers aren’t usually assessed in a stereo role here, mainly because most of the examples we receive on test are typically targeted at AV applications. But this time around, I specifically chose a standmount speaker set to put the subwoofer through its stereo paces in a typical 2.1 system. And while the KEF LS50s are fairly generous in bass response terms (at least in the standmount context), they are nowhere near full-range. Could the 1600X assist with that? Put it this way: thanks to the ability to intelligently and accurately tweak key parameters, I was able to smoothly integrate the sub’s delivery with the speakers, with pretty impressive results. What I heard was a larger, broader, bolder sound that clearly belonged to something a lot bigger than these compact bookshelf speakers usually sound like on their own. As expected, the tonal range extended much further downward than before, but there was also more impact, and a greater incisiveness to the delivery. However, the 1600X steered clear of hyperbole: the bass was clean and powerful, but remained perfectly measured, simply adding to the tonal capabilities of the speakers. In that sense, the subwoofer itself remained unobtrusive, adding its bass wares without drawing any attention to itself. Staging and imaging remained clear and unsullied by the extra bass, offering a satisfyingly three-dimensional music picture with plenty of detail, and admirable transparency, while that broad sweet spot the LS50s are famous for was also retained. I felt that the overall performance had greater energy and drive with the subwoofer in play: certainly low-frequency control was exceptional, providing a taut and succinct platform for the music, but the overall urge and intensity of the system went up a notch, too. The revitalised and energetic return of British hard rock exponents Thunder on Please Remain Seated was showcased in all its punchy, bass-drenched glory to spine-tingling effect, making the most of the wide open, full-range recording and an almost tactile dimensionality. The bass on ‘Loser’ was held in perfect check and balance, but without robbing it of impact or substance, allowing ample scope for the perfectly timed percussion and the clean-picked guitar riffs to come to the fore. Seventies superstar Peter Frampton may not command the attention he did back in his heyday, but he shows his class and versatility on Fingerprints, a varied and entertaining set that features a supporting cast of star performers, and a full catalogue of musical styles. On ‘Float’, it’s the guitar work that takes centre stage, with a melancholy, blues-infused approach that is reminiscent of vintage Gary Moore, but delivered with less bluster and more finesse. Again, the 1600X added bass backbone and foundation to the music without smudging the clarity and air of the sound, allowing the fine, elevated guitar solos to retain their presence an sparkle. The Martin Logan Dynamo 1600X is the kind of subwoofer that can make even cynics like me consider the virtues of a sub in a stereo context. So poised, so seamlessly integrated is its contribution in a stereo role that it’s hard not to acknowledge the sonic benefits. The 1600X has the bass talent, the energy and the finesse to augment rather than interfere, while the combination of the ARC and the Martin Logan Sub Control apps allows exceptional integration and convenient control, regardless of room and system variances. Of course, the 1600X also excels in a home theatre context. Indeed, its ability to occupy an equally effective role in both multichannel and stereo systems is a further, major attraction, while amortising its acquisition cost across both applications. If you’re looking for a versatile, accomplished and sonically effective subwoofer that’s easy to set up, easy to control, and easy to enjoy, the Dynamo 1600X belongs on your shortlist. 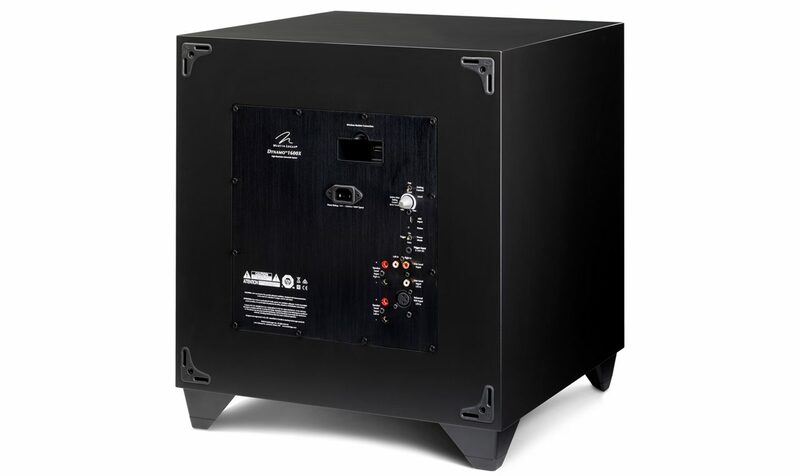 Enclosure type: Sealed, front or down-firing.